The 3 most important stitches to elevate your skills, today! A quick look at the 3 essential stitches that will elevate your sewing skills and prevent your next sewing project from looking homemade. Do you know the difference between homemade and handmade? Well, let’s just say the latter is more desirable. I love to make homemade clothing, beauty products, house hold cleaners, and more! But, let me be the first to say…I don’t want my threads to look homemade! I want them to look professional! And handmade, professional apparel made at home is really something special! And it’s something to be proud of! While there are heaps of stitches that you’ll need to master, I’ve picked my top 3 and often overlooked stitches that will elevate your sewing skills and take your pieces to the next level. 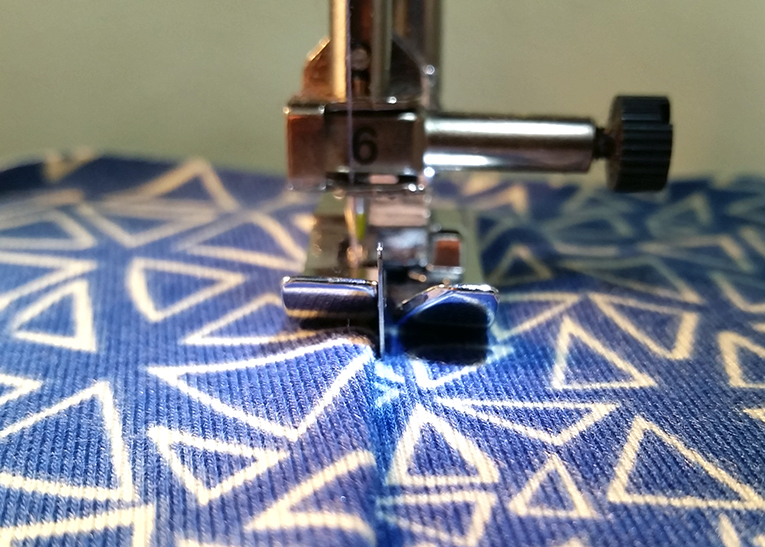 A stay stitch is a regular machine stitch that is hidden in the seam allowance before a garment is assembled. A stay stitch is permanent and is not to be removed. Stay stitching is crucial to your sewing skills arsenal because it prevents stretching and distortion of your pattern pieces. Stay stitching is also used to reinforce corners, angles, and points. 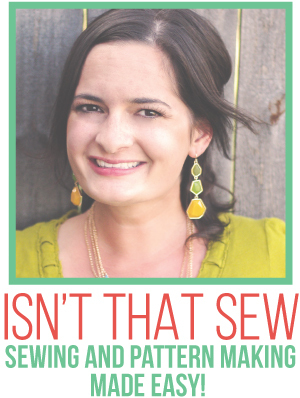 Most often, stay stitching is used on necklines, armholes, curves, and bias cuts. 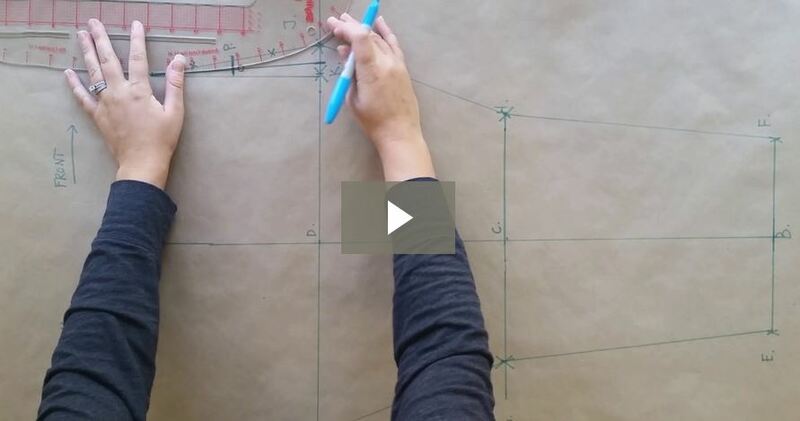 If you skip this step, you can distort your pattern pieces to the point that they will no long fit together correctly. For example, the neckline is curved and the collar is cut on grain. By simply handling the body of the shirt, you could unintentionally stretch or warp the yarns. Always carefully follow the directions provided with your pattern. However, stay stitching is generally a single row of stitching through one layer of fabric. It is most often placed approximately 1/16″ to 1/8″ away from the actual seam or stitch line and is not removed. Use a shorter stitch length for lighter weight fabrics and a longer stitch length for heavier weight fabrics. Generally, 2.5 to 3.5 is the sweet spot. An under stitch is a row of stitching that is sewn on the under layer, lining, or facing and is placed the inside of the seam edge. An under stitch, like a stay stitch, is another hidden stitch that is permanent and not to be removed. Under stitching is vital in elevating a garments “homemade” status to “professionally, handmade”. The under stitch prevents a facing or a lining from rolling to the right side of a garment and becoming visible. Now, I love a pretty lining just as much as the next gal. But, I don’t want it peeking out for everyone to see. It just looks plain sloppy when the inside of a garment is hanging out! Always carefully follow the directions provided with your pattern. Usually, when under stitching, the facing, lining, or any other under layer is first pressed as sewn and then pressed away from the garment, seam allowances included. And then a straight stitch is applied approximately 1/8″ away from seam. Use a shorter stitch length for lighter weight fabrics and a longer stitch length for heavier weight fabrics. Generally, 2.5 to 3.5 is desirable. 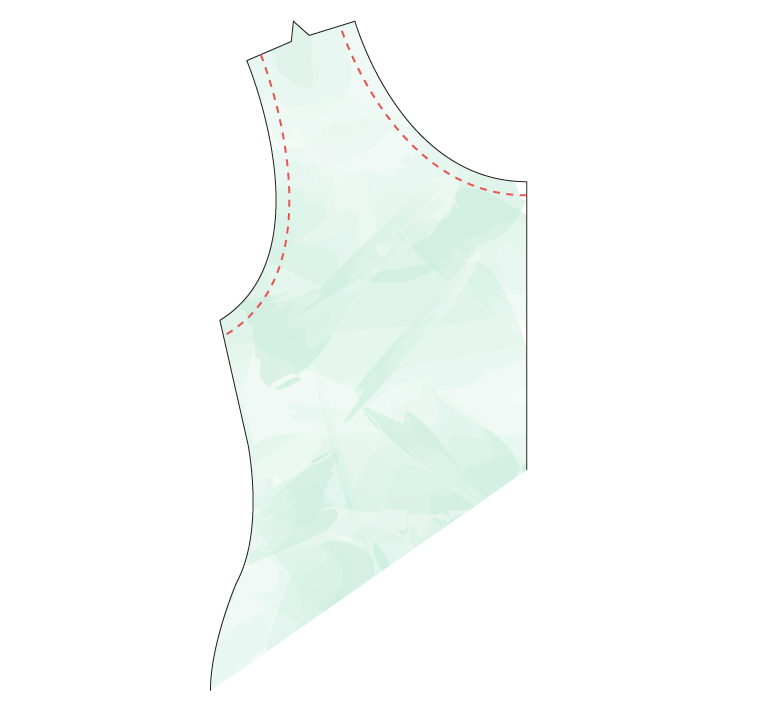 After stitching, press the facing or lining to the inside of the garment. The inner layer will automatically want to tuck in just a bit, as to not be visible! Tip: If the fabric is exceptionally lofty, or bulky, like fleece or sweat shirt material, a zig-zag stitch can be used to keep everything lying flat. Top stitching can be a single row, or multiple rows of regular machine stitching that is placed on the outside of a garment, usually 1/4″ from the edge. Edge stitching is similar to top stitching, and often used in tandem. 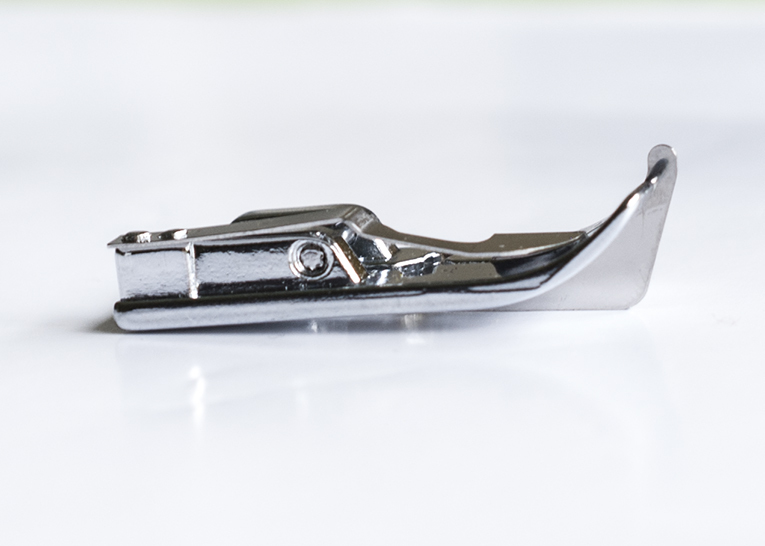 However, edge stitching is placed 1/16″ from the edge. Anything more, it is considered top stitching. Top stitching is highly visible and is both decorative and functional. Often times, it is used as an accent. But, it also has a utilitarian purpose, which is to attach pockets, plackets and yokes. And it aids in stability and reinforcement. Nothing, and I mean nothing screams homemade more than wavy, crooked, and uneven top stitching! Always carefully follow the directions provided with your pattern. Generally, top stitching uses a longer, plain stitch. Usually, that stitch 3.5 and higher. It is not uncommon for a contrast thread to be used for top stitching, think jeans! For accurate and professional top stitching it is best to follow a guide! For example, I like to use my blind hem foot (or any foot with a blade) and adjust the needle position to fall where I need. Alternatively, you can use a ruler and draw a line with chalk or disappearing ink or apply a row of masking tape to follow! Remember to sew slower and focus! Pay special attention to corners and curves! Master these 3 stitches and you’re on the way to making professionally handmade clothes! 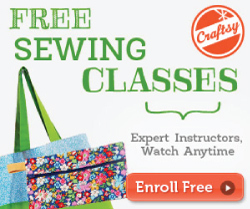 Are you using a topstitch needle? Also, topstitching thread isn’t really meant for embroidery. Maybe try embroidery or quilters thread. 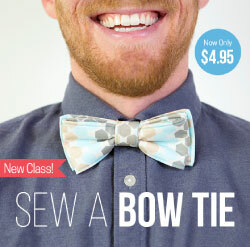 You also might want to head over to my friend Margaret’s site (www.letslearntosew.com) . . . She’s an amazing seamstress and teacher! She’ll have some better advice for you than I do! Thanks! Love the idea to use a blind hem foot for too stitching. I hadn’t thought of that before, but I will definitely give it a try. Great tip! I would agree with you, that would look very nice! Thanks for sharing! Thanks from me too, Maureen! I always hated how backstitching looked on topstitch, and I’m way too lazy to pull through and knot. 🙂 This helped!